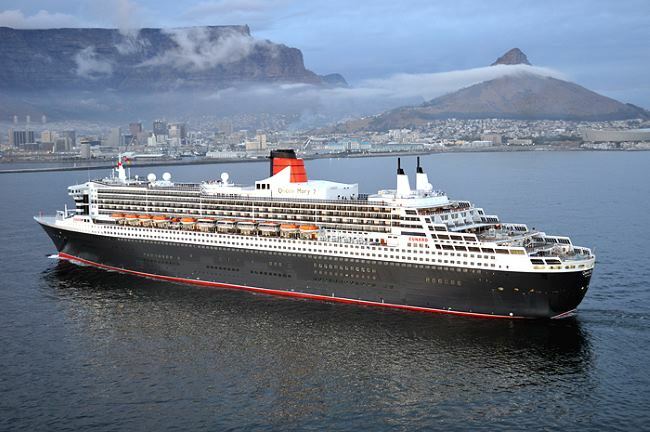 Several South Africans are reported to be passengers on board the stricken Norwegian cruise ship VIKING SKY which lost engine power while sailing in stormy weather along the Norwegian coast on Saturday (23 March 2019). 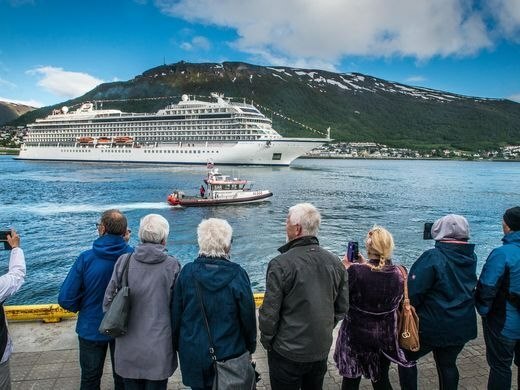 Earlier the 47,800-ton ship had sailed from the northern port of Tromsø and was bound for Stavanger when three of her four engines failed at around lunchtime on Saturday. With the ship tossing about on the wild seas plans were made for a mass rescue involving having to airlift 1,300 passengers and crew from the ship. The seas were considered too rough to attempt to launch the ship’s boats or for attending tugs to assist with the evacuation. Cyclone Joaninha 22S has developed quite rapidly in the Indian Ocean and by 03h00 on Sunday 24 March the cyclone was in position near 17.1S 61.6E approximately 300 nautical miles northeast of Port Louis in Mauritius and tracking south-southwestward at 3 knots. 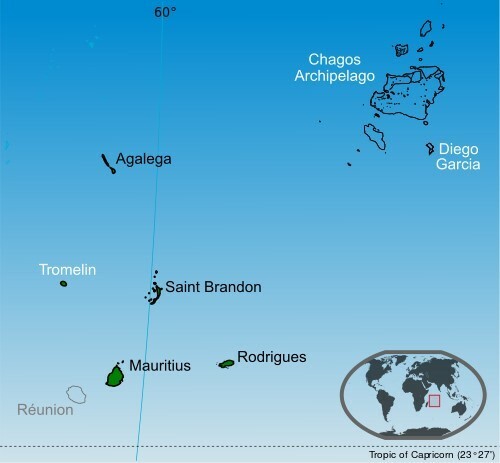 The cyclone was expected to be in the close vicinity of Rodriguez Island on Monday, 25 March 2019, which is to the east of Mauritius. Wind speeds at the date and time shown above were 75 knots, gusting to 90 knots with the storm slowly consolidating amid favourable conditions. Wind speeds are forecast to reach 115 knots within 72 hours. 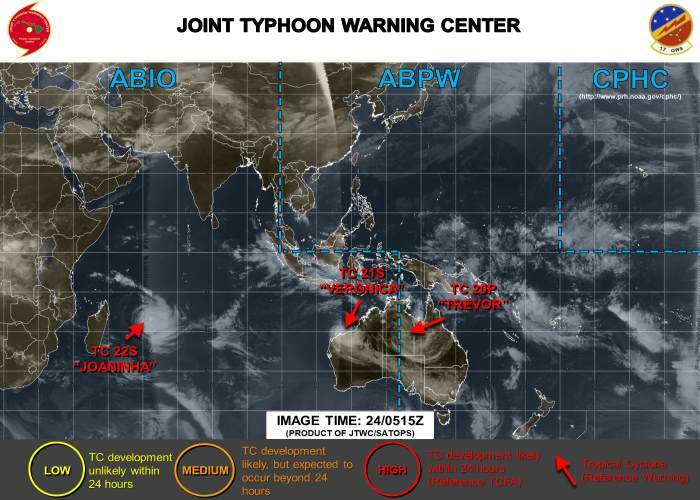 Although tracking south-southwestward (toward Mauritius) Cyclone Joaninha is forecast to turn south-southeastward to southeastward after 72 hours as a near-equatorial ridge builds to the northeast and east although the tracking will be generally southeastward. 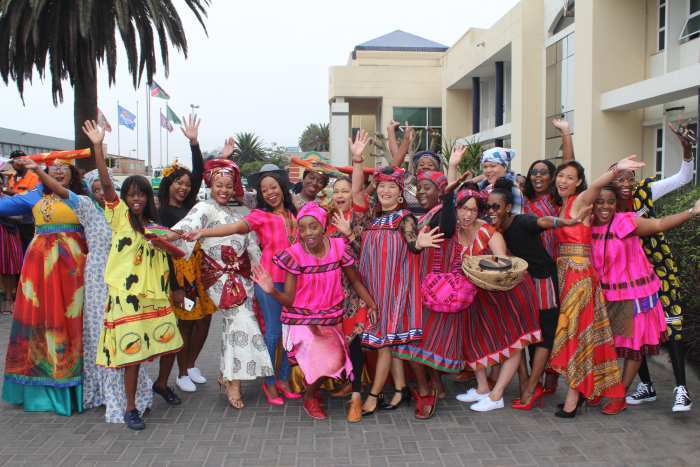 The Namibian Ports Authority (Namport) this week (Wednesday 20 March) celebrated the country’s 29th birthday. This was in true Namport style by hosting its second ever Mr and Miss Namport beauty pageant on an erected sponsored runway. The festivities were aimed at celebrating the various cultures at the entity as well as appreciating the peace and freedom of the country and were held under the theme, Our Port Our Future embracing the internal theme of being grateful. 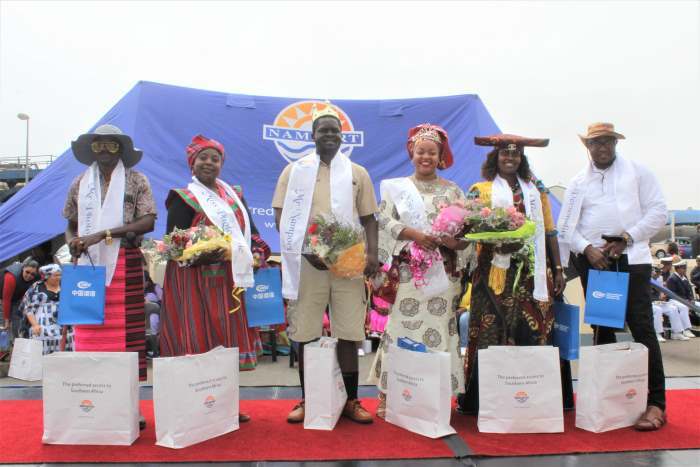 The contestants walked away with great prizes generously sponsored by various Namport stakeholders. The Mr and Miss Namport winners won themselves a regional return flight ticket courtesy of Air Namibia, a weekend away with their partner at a boutique hotel, and stationary vouchers valued at N$1,500 each which the two winners will donate to a school of their choice as part of their social responsibility. The two winners will also be kept physically fit by the Namport Wellness Gym for the period of their reign. Mr and Miss Personality will go shopping with their vouchers valued at N$800.00 each, while Mr and Miss Photogenic received an A1 canvas courtesy a local studio. All six winners also won dinner vouchers from from a well-known restaurant. Even the sashes were provided for by a local stakeholder as were flowers for the winning ladies. China Harbour Engineering Company which is building the new container terminal sponsored all the winners with pens. 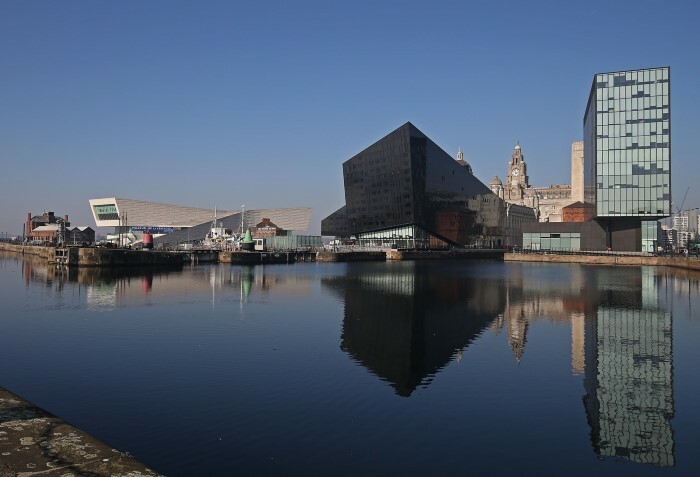 A scheme – or masterplan – is to create a modern visitor attraction that connects Liverpool’s historic waterfront with the city, the River Mersey and its architecture, each being features of Liverpool’s iconic identity. 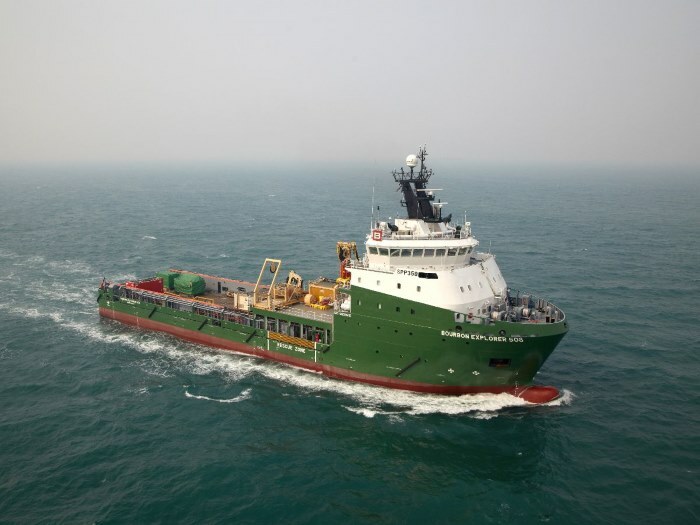 Classification Society Bureau Veritas has successfully completed the first remote inspection and audit survey using Kongsberg’s DP Digital Survey solution on the offshore supply vessel (OSV) BOURBON 508 stationed off Angola. 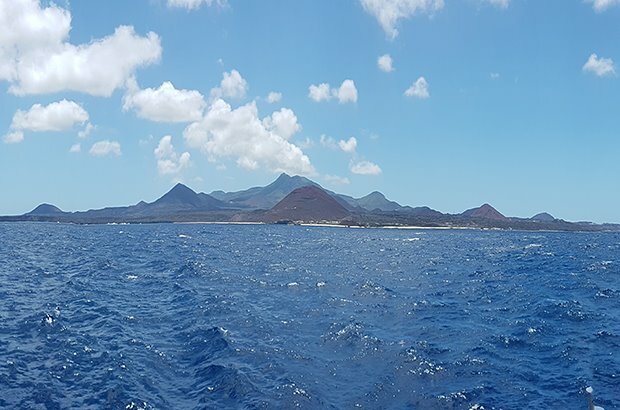 MAC, a Bureau Veritas company, specialised in DP (dynamic positioning) systems, was deployed to help Bourbon and Kongsberg Maritime to help ensure the functionality, availability and reliability of the survey system, providing user-friendly insight for remotely located surveyors. 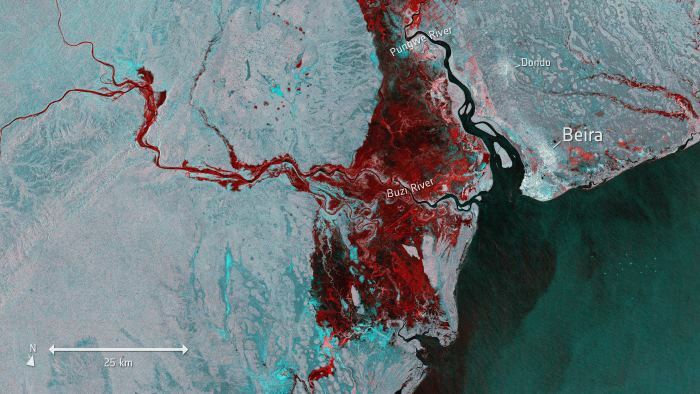 As millions of people in Mozambique, Malawi and Zimbabwe struggle to cope with the aftermath of what could be the southern hemisphere’s worst storm, Copernicus Sentinel-1 is one of the satellite missions being used to map flooded areas to assist with relief efforts. According to news issued by the European Space Agency (ESA) on 20 March it is currently thought that well over two million people in the three countries have been affected, but the extent of the destruction is still unfolding. Authorities and the military are working desperately to rescue people, but roads and other transport and communication links are cut off. Satellites orbiting Earth can provide indispensable up-to-date information to observe such events and, importantly, to map flooded areas for response teams facing these dire situations. Sentinel-1’s radar ability to perceive through cloud and rain, and in darkness, makes it particularly useful for monitoring floods. Images acquired before and after flooding offer immediate information on the extent of inundation and support assessments of damage to property and to the environment. 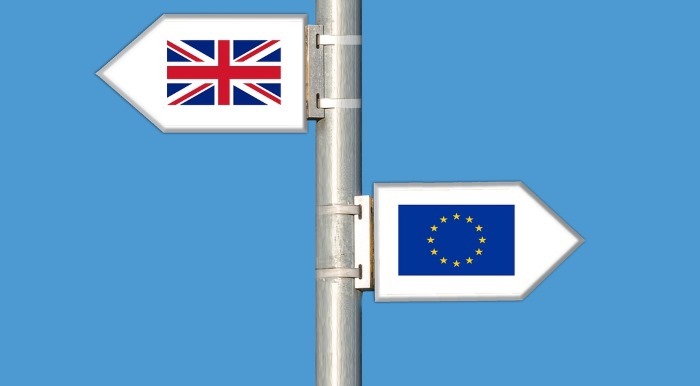 While the UK government keeps working, pushing and grinding on to try again to make the case for its Brexit compromise, and MPs carry on hunting, and arguing for alternatives that could take the place of that compromise if it ultimately fails, the British International Freight Association (BIFA) is advising its members to continue preparing for a no-deal departure on 29 March, until further clarity is obtained. 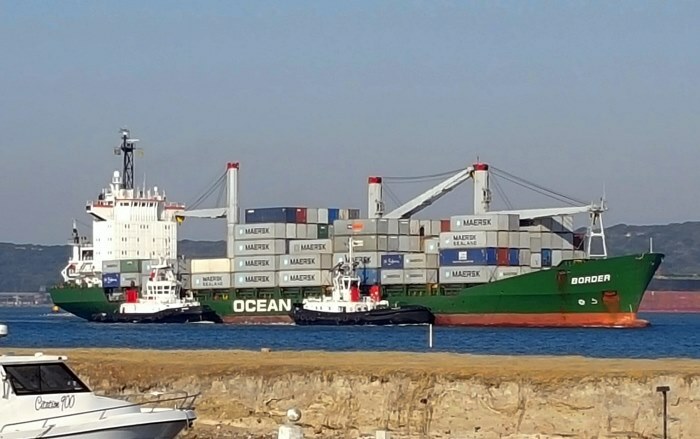 In the wake of cyclone Idai, Grindrod South Africa, a subsidiary company of Grindrod Limited, has agreed to release the mv BORDER (IMO 9063988), a 14,357-ton deadweight container vessel, presently deployed within its Southern African sea-freight business Ocean Africa Container Lines, to perform a relief voyage from Maputo to Beira. The vessel is expected to arrive in Maputo during the early hours of Thursday (21 March). 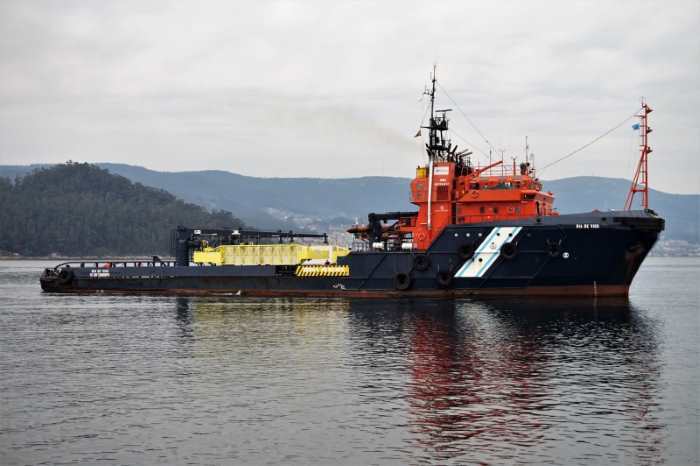 She will thereafter load the much-needed relief cargo that is presently being consolidated by local authorities and humanitarian aid organisations and sail to Beira. 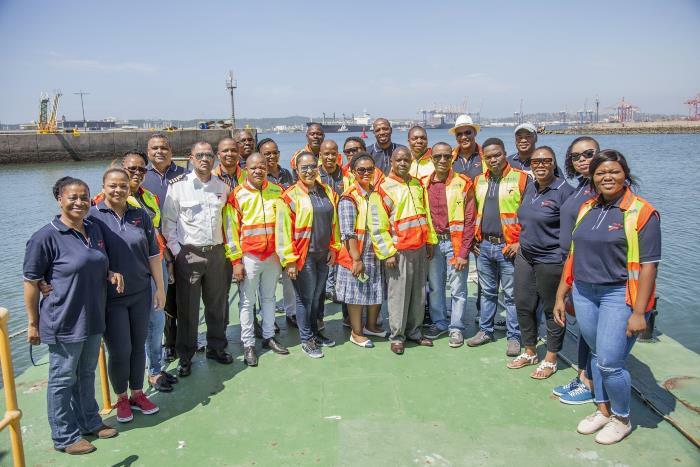 Transnet’s Maritime School of Excellence, Durban Campus this month hosted six officials from QCTO (Quality Council for Trades and Occupations). 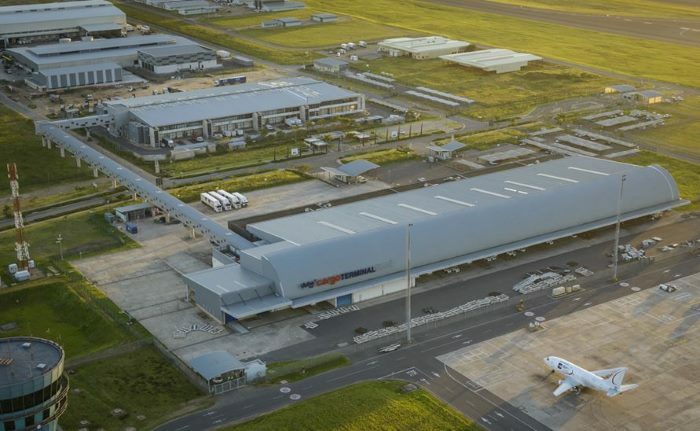 The Dube Trade Port Special Economic Zone (DTP SEZ), which is situated adjacent to Durban’s King Shaka International Airport, continues to experience an unprecedented wave of investments. 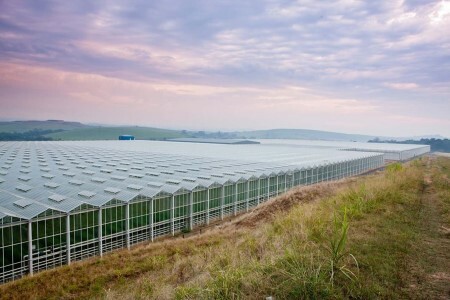 This trend that looks set to continue thanks to the R18 billion investment that is being unveiled today (Tuesday 19 March 2019), is part of the second phase expansion plan of the DTP SEZ. 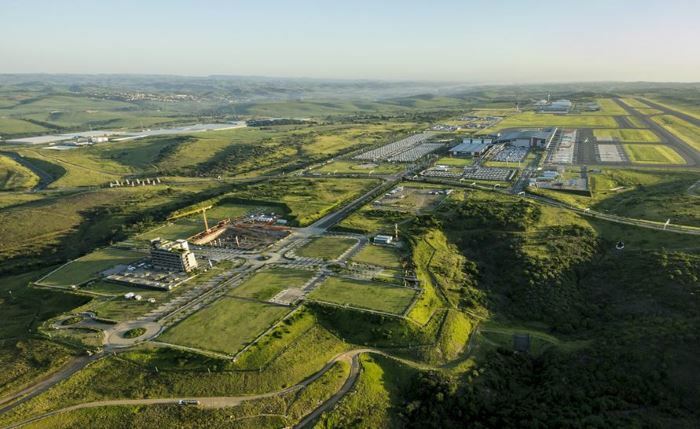 “The site will serve as the foundation of Dube Trade Port’s next phase of investment attraction, which is projected to total close to R20 billion over the next 5 years,” KZN Economic Development MEC Sihle Zikalala said. “If the massive success of the first phase of the DTP SEZ which we launched in 2010 is anything to go by, we are doubtless that the second phase will surpass all expectations,” he added. 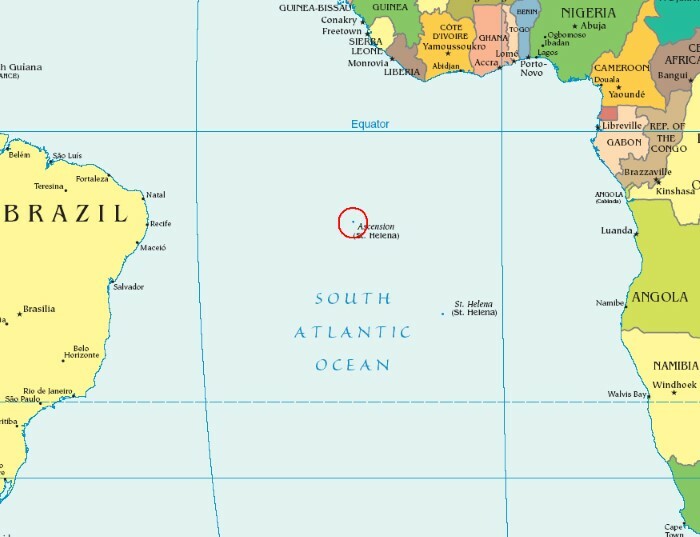 On 14 March 2019 it was reported jointly by the (UK) Department for Environment, Food & Rural Affairs and the Foreign & Commonwealth Office, that the Government has backed plans by Ascension Island to designate over 150,000 square miles of its waters as a fully protected no-take Marine Protected Area (MPA) – closing the off-shore area to any fishing activity and safeguarding important marine habitats for future generations. 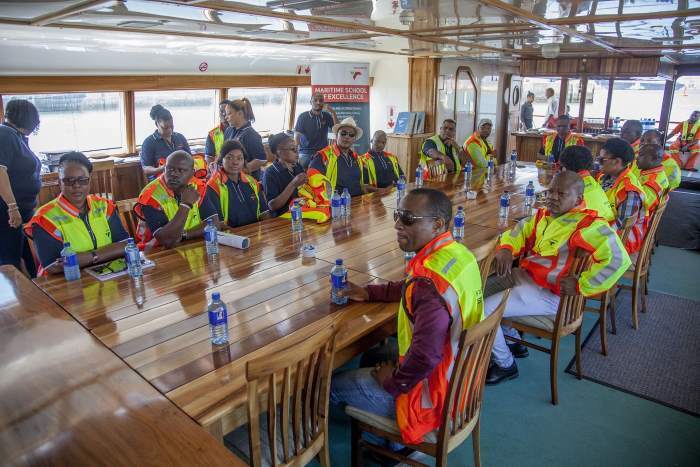 Along with the annual ‘Take a girl child to work’ day which is observed at all South Africa’s ports, Transnet National Ports Authority (TNPA) is this week joining with the Department of Basic Education and corporate South Africa in observing the national ‘Tomorrow’s Man’ initiative. The project is aimed at empowering and developing high school boys by exposing them to positive role models, career guidance and the working world. It was formerly known as ‘The Men in the Making’ programme. The boys hosted by TNPA are a mix of employees’ sons as well as previously disadvantaged learners from TNPA’s adopted high schools across the country. TNPA’s Adopted Schools programme is designed to build the Authority’s capabilities within the ports by developing mission critical skills within its communities from the ground up. 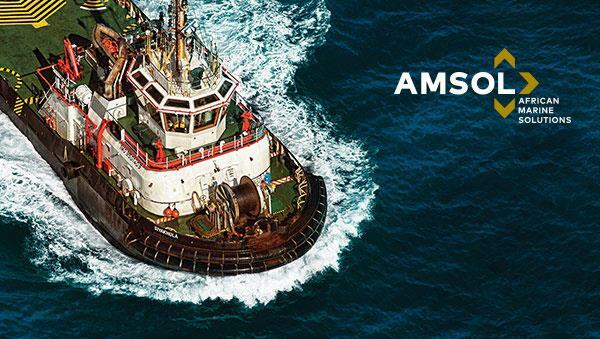 The full-day programme includes career shadowing and practical exposure to business and port operations. The boys gain insight into the port system and the wide range of career opportunities it offers. Volunteer mentors within TNPA have also been asked to offer continued guidance and inspiration for the Grade 10 to 12 boys for up to three months after TNPA’s Tomorrow’s Man participation. 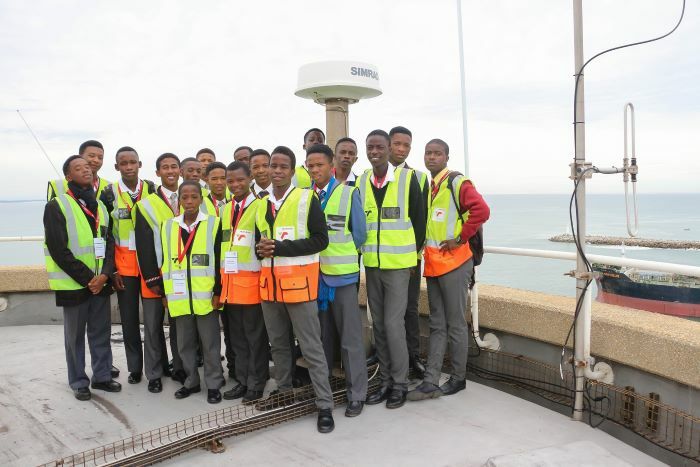 The learners are encouraged to work hard at English, Pure Mathematics and Physical Science at high school level, which are required for many of the mission critical roles in the maritime industry. Activities so far have included head office in Parktown, Johannesburg, the Port of PE, and the Port of Ngqura. These will be followed up at the Ports of Durban and Mossel Bay later this month, and Port of Cape Town in early April. 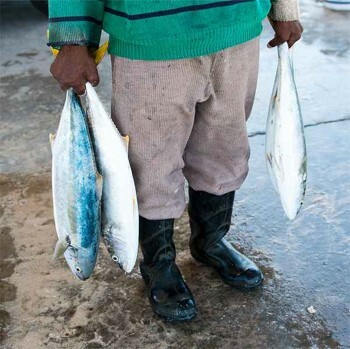 Small Scale Fisheries Sector is being launched today in KwaZulu-Natal in which 2,184 fishers in the province will be declared as small-scale fishers in terms of the Marine Living Resources Act. The launch, being performed by Agriculture, Forestry and Fisheries Minister, Senzeni Zokwana, is part of the national roll-out of the small-scale fisheries sector in South Africa’s coastal provinces in previously disadvantaged or marginalised fishing communities. 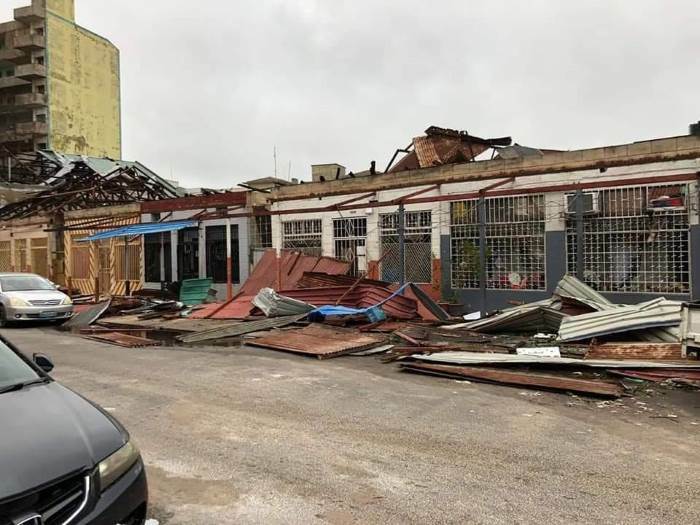 As thoughts in the city of Beira and surrounding areas begin to turn to recovery from last Thursday night’s cyclone Idai which swept ashore near the port city leaving havoc and devastation in its wake, there are warnings that the region’s problems are not yet over. Rescue workers are still trying to reach the thousands of survivors clinging to treetops and roofs of buildings and an overflight of the surrounding district in the path of the cyclone as it moved towards the Zimbabwe border, reveals the extent of the disaster. Mozambique’s President Filipe Nyusi who was on an overflight of Beira and the nearby region said he feared that casualties would be a thousand or more. The National Meteorology Institute (INAM) has warned that flooding is imminent in the Buzi and Pungue River basins in the central provinces due to persistent heavy rainfall upstream following cyclone Idai, which hit Sofala and Manica provinces. It said the rains may affect all the districts of Sofala and Manica plus much of the western province of Tete and parts of the southern provinces of Inhambane and Gaza. This is because of heavy rains not only in Mozambique but also in neighbouring Zimbabwe. In the space of 24 hours, about 600 millimetres of rain fell on eastern Zimbabwe which is what would normally be expected in three months. This water is now flowing into Mozambique. The latest official information on the death toll was that 68 people in Sofala had lost their lives, 55 in Beira and 13 in the neighbouring district of Dondo. There has been loss of life in neighbouring Malawi and in Zimbabwe as well. Mozambique’s President Filipe Nyusi said after an overflight of the flooded areas that Cyclone Idai may have killed 1,000 people in the country. He said that widespread flooding has “made whole villages disappear” and bodies are floating in the water. This was a “real disaster of great proportions” the president said. Jamies LeSeur who led a Red Cross/Red Crescent aerial assessment of Beira described the damage as “massive and horrifying”. Mozambique’s publicly owned electricity company, EDM, says that it cannot restore electricity to the cyclone damaged city of Beira in the immediate future. That’s according to a statement carried by the independent news sheet Carta de Moçambique. The cyclone has knocked out the electricity and water supply systems and plunged the neighbouring province of Manica into darkness, although by Saturday morning EDM was able to restore power along the main highway from Zimbabwe through Manica and almost as far as Dondo, 54 kilometres from Beira. The main problem in restoring power to Beira itself is that a key substation in the Beira suburb of Munhava is under water and until the water level drops, it is impossible for EDM to repair the damage. To make matters worse, large numbers of medium and low voltage pylons were knocked down by the cyclone throughout the city. This will only add to the losses being experienced by Beira businesses and families alike. Not only is electricity not available but cell phone communications are down as well, after dozens of cell phone towers of all three mobile phone operators, Tmcel, Vodacom and Movitel, were knocked out in Beira and in the entire surrounding region. In the Mozambique Channel off the coast of Beira, all shipping remains banned. 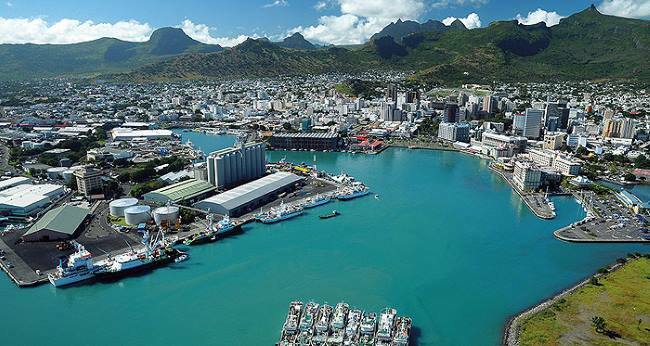 The cyclone severely damaged Beira port including two dredgers belonging to the Mozambican Dredging company EMODRAGA. One major fishing company had the foresight to move its boats from Beira to Inhambane, thus avoiding the cyclone. 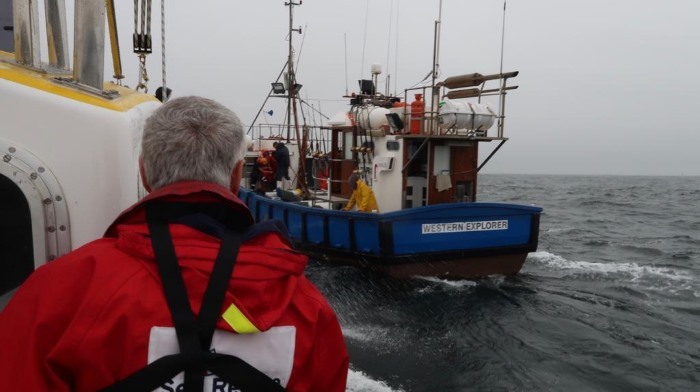 Two vessels are reported aground on the sandbanks near the harbour, though their identities have not so far been revealed. As reported yesterday the coal handling equipment is damaged and the tank farm has also taken damage. Conditions in the remaining terminals of the port are not known at this stage. Cyclone Idai may have moved inland by now and degraded to a heavy rainstorm but it has left a trail of devastation behind, with a rising death toll in three countries. 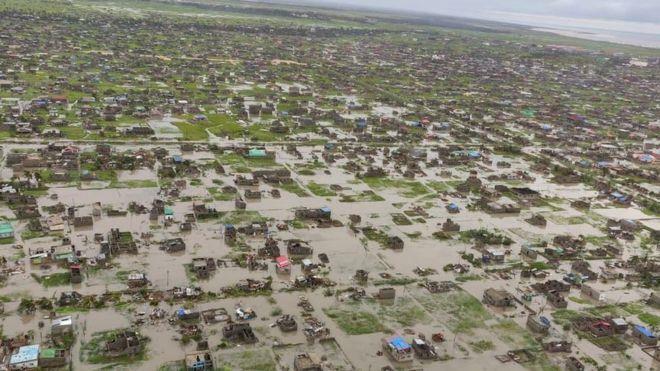 According to a statement from the Red Cross and Red Crescent Societies: “The scale of damage caused by cyclone Idai that hit the Mozambican city of Beira is massive and horrifying.” It said 90 percent of Beira and its surrounds are “damaged or destroyed”. With a rising death toll 55 people in Beira alone were killed when the cyclone made landfall, and another 13 known deaths in Mozambique and 89 reported in Zimbabwe. The number is expected to rise once communications are restored to the country areas of both areas. 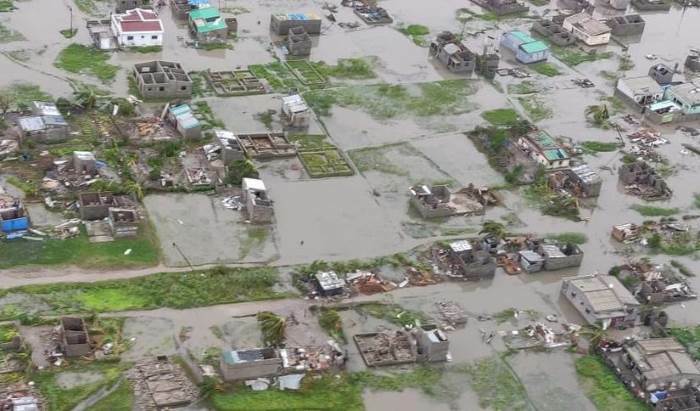 Cyclone Idai came ashore just to the north of Beira, a city and important port of 530,000 people. The storm had earlier developed in cetral Africa before moving southeast towrads the coast, bringing floods with heavy rain to Malawi and northern Mozambique. SInce it crossed over the ocean of the northern Mozambique Channel the storm increased in capacity and intensity and rapidly became a tropical cyclone named Idai. 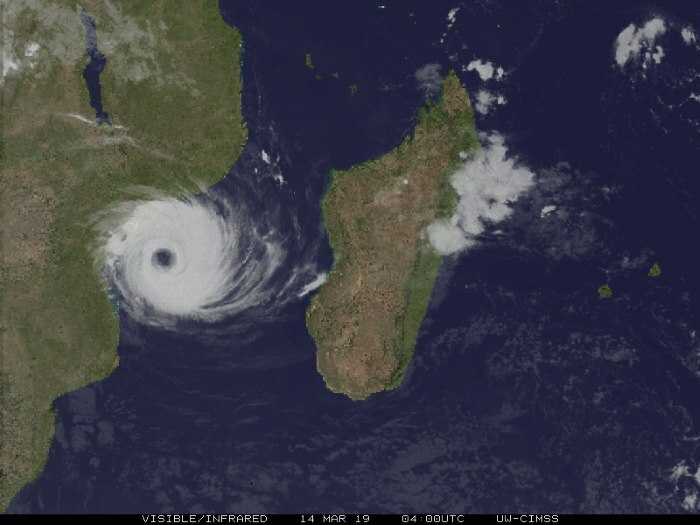 Lots of rain and strong winds battered northwest Madagascar as the cyclone begun moving southwestwards back towards the Mozambican coast, remaking landfall close to Beira where it landed on Thursday night (14 March 2019). After crossing the coast the cyclone, although losing some of its intensity but still depositing large amounts of rain onto the largely flat countryside, moved inland and across eastern Zimbabwe, leaving death and damage in its wake. On Sunday a dam near Beira burst and the resultant floodwaters has cut the main road into Beira, making it imossible to reach the city by land. With both Malawi and Mozambique having appealed to South Africa for assistance, a team of rescue specialists reached the city by road shortly before the road was cut. With all communications cut they managed to get a recorded message out by military aircraft – the airport at Beira is fortunately still functional although buildings and hangars are badly damaged as are several aircraft. A request for more people to join the South African rescue team was relayed in the special broadcast flown out from Beira. “Do not try to come by road” the request stated. “The situation is terrible. The scale of devastation is enormous, a spokesman for the Red Cross and Red Crescent, Jamie LeSueur said. “Almost everything is destroyed. Communication lines have been completely cut and roads have been destroyed. Some affected communities are not accessible.” He said that as bad as the situation was in Beira they were hearing that outside the city it was even worse. 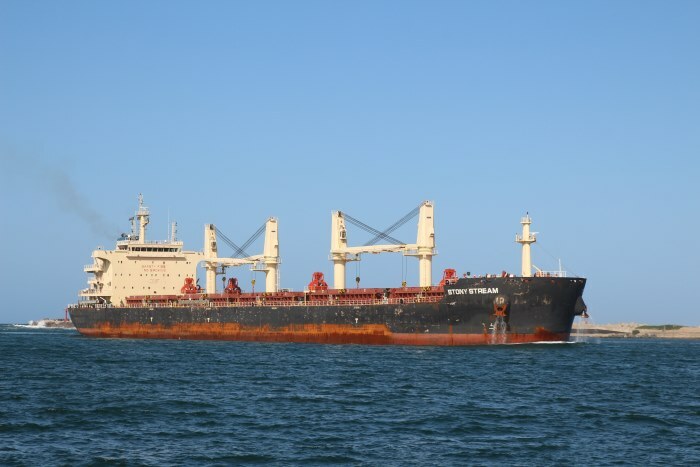 The firm of LBH which has offices in Beira reported this morning (Monday 18 March) that several vessels were aground in the harbour area, the coal terminal is not operable and some damage has been done to the tank farm. Channel markers may have been moved, said Athol Emerton. 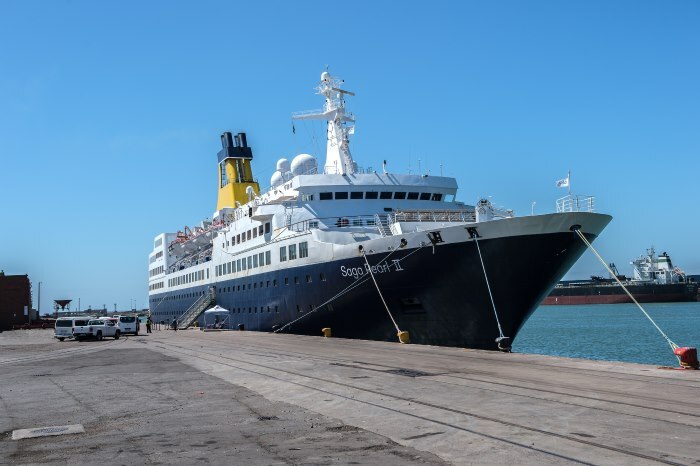 With all communications down and only occasional sat phone contact since Thursday, LBH was sending its Durban-based launch SEA FEVER to Beira with provisions for the city and to act as LBH’s floating office until mornal operations return. With load shedding due shortly this report will go out ‘as is’ with any editing or corrections to be done in two hours time. According to IRIN a quarter of a million people in Malawi have been left homeless and thousands of homes are destroyed. In Mozambique the number of homes destroyed is expected to be even higher with at least 5,700 already identified. Meanwhile South Africa’s President Ramaphosa has announced he has deployed the South African Defence Force (SANDF) to Mozambique to assist with the recovery efforts. However it is not clear whether the SANDF units will be assisting only with the reinstallation of power pylons after the cyclone brought severe damage to the transmission lines from Cahora Basa to South Africa. This has resulted in the reported loss of 900 MW of electricity supplies to South Africa which is already struggling with problems on the national grid. In the past when Mozambique has been hit severely by cyclones the SANDF has sent helicopters to assist with saving people from the rising waters – there has been no confirmation so far that this is the case now. International Relations and Cooperation Minister Lindiwe Sisulu has urged South Africans to make donations for flood relief in neighbouring countries battered by Tropical Cyclone Idai. In a statement issued yesterday (Sunday, 17 March), Sisulu appealed to South African NGOs, companies and individuals to make donations towards humanitarian aid for the affected countries. In its statement the department said messages of condolence have been sent to the people of Malawi, Zimbabwe and Mozambique. “What is urgent now is the provision of humanitarian aid,” Sisulu said in the statement. This order increases the total number of these vessels in the Homeland fleet with the first ordered in 2014 and the most recent deliveries being three vessels over the course of 2018. The 33-metre Patrol Vessel is based on Damen’s successful Fast Crew Supplier 3307, and exhibits the same performance characteristics and fuel economy with a top speed of 30 knots, excellent manoeuvrability and first-class seakeeping thanks to its Axe Bow design. In addition to special features such as an armoured citadel protecting the wheelhouse, Homeland specifies a number of optional features for their vessels to extend their capabilities and maximise operability. Among these are a fast rescue craft, a Fuel Trax electronic fuel monitoring system and a redundant fuel separation system. 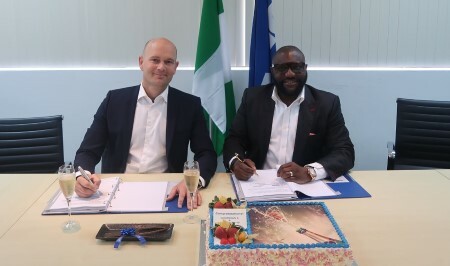 This latest order increases Homeland’s continuing commitment to maintaining its leadership position in servicing Nigeria’s offshore oil and gas sector by investing in state-of-the-art equipment that rivals that to be found anywhere in the world. Substantial progress has been made to conclude a Roll-Over Economic Partnership Agreement between the South African Customs Union (SACU), Mozambique and the UK. 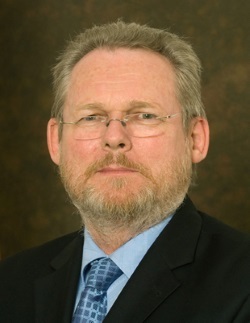 South Africa’s Minister of Trade & Industry, Dr Rob Davies told parliament last week that SACU and Mozambique have been discussing with the UK the rollover of the Economic Partnership Agreement (EPA) to avoid trade disruption post-Brexit, on which he said considerable progress has been made. 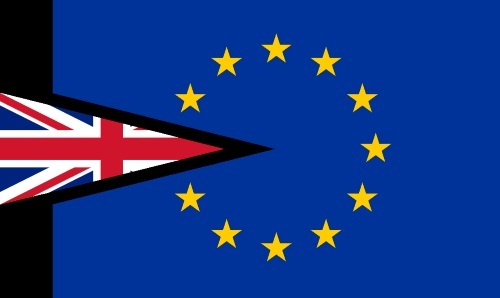 SACU, Mozambique and the United Kingdom (UK) currently trade under the Southern Africa Development Community (SADC) – European Union (EU) Economic Partnership Agreement (EPA). The SADC-EU EPA provisionally entered into force on 10 October 2016. According to Davies agreement has been reached on Terms of Reference for the dialogue on the roll-over of the EPA. The dti says that South Africa will continue to monitor developments in the UK and will advise traders as appropriate. Traders are advised to contact Mr Tshifiwa Mahosi on (012) 394 3107 or 0716098337, email: PMahosi@thedti.gov.za for any concerns. There is a phrase in English: ‘Worse things happen at sea’ and they do and many of them are recorded here in 26 chapters demonstrating bad fortune from groundings or strandings to mechanical failure, fire and piracy. Here are true stories of crisis afloat. In the majority voyages from harbour to harbour were uneventful but, with so many ships plying the world’s trade routes, it was inevitable that sometimes an ordinary voyage became dramatic and full of incident. Looking back a generation it will be recalled that newspapers generally had a shipping correspondent who provided a daily report of ships’ movements. If a ship entered harbour with the news of an unusual voyage, details were quickly given space in the newspaper. In those times, the shipping news was avidly read and reports often included photographs of ships in distress along with first-hand accounts from those on board. Such was the news machine before the digital times in which we now find ourselves. Chris Mills, the author, has supplemented a selection of contemporary newspaper articles, mainly from the 1920s and 1930s, with background information from other sources such as the reports of Marine Courts of Inquiry, extracts from ships’ logs, and references to crew agreements, law reports and published narratives by ship masters. A few imaginative details have been added, but the stories are all firmly based on true events as reported and recorded at the time. Each of this book’s chapters describes an incident from the period which was something of a golden age for British shipping. These incidents affected vessels of the Red Ensign going about their business. The author, a merchant seaman from the 1960s, has taken newspaper references from around the world describing groundings, fires and other calamitous events at sea. With the use of well researched supplementary sources he has pieced together details of how the weather or sea conditions led to a stranding or total loss. Incidents are well chronicled and include grounding off Boston with a cargo of zoo animals, loss of the ship. Fire in oil bunkers in Rangoon, loss. Fire in a cargo of copra in Vavau, Fiji, loss of ship. Turning the tables on pirates in the South China Sea, success. Fire in a cargo of explosives in Buonaventure, Colombia, loss of life, loss of ship. Stranding on a reef, SE of Hong Kong, a ships’ graveyard. Grounding, hull damage, ship repaired, saved. Contact with an uncharted reef in the Singapore Strait, vessel badly holed. Blame on the Master, an appeal, upheld. Propeller shaft snapped, propeller lost 700 miles west of Java, open boat sailed 650 miles to seek assistance, vessel saved. Fire in a cargo of maize and bunker coal, ship saved with much cargo. Malicious opening of sea water valve, valuable cargo of Persian carpets damaged, Master dismissed. Yet another grounding and sailing of a ship’s boat many miles to seek help. And more of the same, but never dull or boring. Bad luck, errors, extreme weather, many of the perils and dangers of seafaring are in this excellent record painstakingly assembled by Mills. In many cases there were awards for salvage, for rescues and for saving ship and cargo or for acts of bravery and duty above and beyond the normal call. Mills portrays what conditions were like on board British merchant vessels of the time and has made his subject a most readable one. As well as being an ideal read for anyone interested in true stories of ships and the sea, maritime history or wishing to enjoy a good read it would provide good background for those planning a career in marine insurance for it shows risk in its many forms and the dogged determination of ships’ staff to save their charges in the face of adversity…and thus provide their owners a chance of recovery. Such tales of the perils confronted by seafarers in our times (or those of the previous generation or two) used to be the stock in trade of Brown, Son and Ferguson with their Nautical Magazine (which flourished 1832-2011), Blackwood’s Magazine (1817-1980) and George Newnes’s Wide World (1898-1965), the latter with the motto ‘Truth is stranger than fiction’. From time to time this reviewer had the good pleasure of reading these especially when far from home. 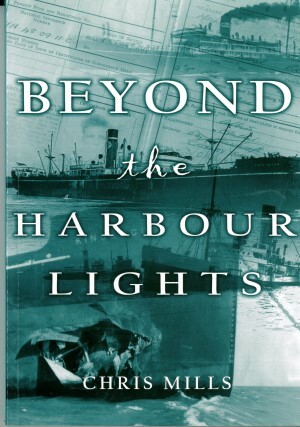 Reviewed by Africa Ports & Ships London Correspondent, Paul Ridgway. 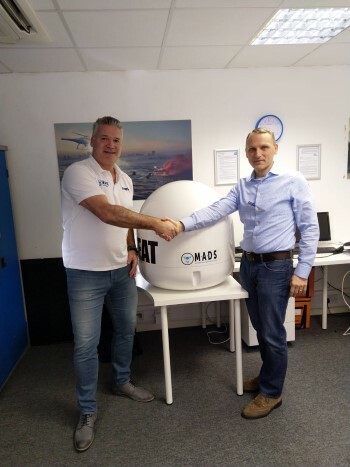 The Marine equipment manufacturer and developer Martek Marine has announce the development of the world’s first maritime anti-drone detection system, the Marine Anti Drone System (MADS). MADS provides the latest technology aimed at combating the increasing threat of unmanned aerial systems. Martek Marine is a UK-based manufacturer and supplier of marine equipment with an extensive and wide-ranging portfolio that includes gas and water ingress detection equipment, emissions monitoring systems and potable water test kits. “We’re really excited to add the MADS drone detection system to our revolutionary product portfolio. With over 20 years in the maritime industry, this new product will provide the next level of ship safety protection for the growing threats that drones have on commercial ships.” says Stuart Ovington, Head of Global Sales, Martek Marine. MADS identifies drones within a range of five kilometres, giving GPS positioning of drones and pilots, coupled with drone speed and direction. A series of alarms allows its users to quickly assess a threat and take action. On identifying a threat, MADS can create an exclusion zone, stopping a drone’s signals and forcing it to land or go back to its controller. Drones are being increasingly used in the commercial and civilian sectors, and over the next five years, their worth is estimated to reach a staggering US$127 billion. 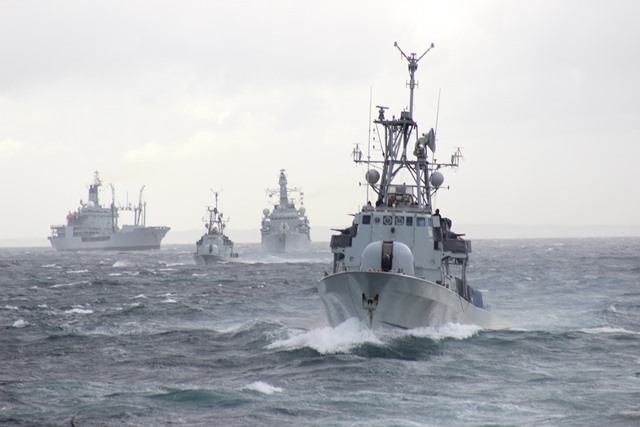 While many are used legitimately in the marine industry to provide essential information about safety, structural issues and cargo, the threat of them being used for disreputable purposes such as hacking or stealing data or terrorism is real and increasing. 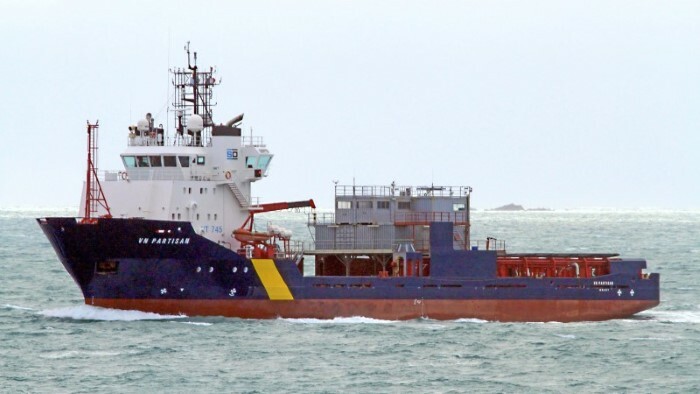 Following the fire on board the vehicle carrier GRANDE AMERICA which subsequently sank on 12 March in the Bay of Biscay, the European Maritime Safety Agency (EMSA) has been providing emergency assistance at the request of the French authorities. It was reported that Grande America, a vehicle carrier with container capacity (IMO 9130937, 56 642 gt, built 1997, Italian flagged) had been carrying 15,000 tons of cargo (860 tons of which were dangerous goods) and approximately 2,478 tons of bunkers (comprising 197 tm gas oil / 2,211 tm fuel oil / 70 tm lube oil). 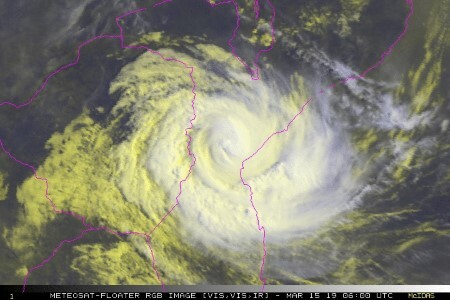 Cyclone Idai TC18S has come ashore near the port of Beira as expected and is steadily moving away from the coast in the direction of the Zimbabwe border. Heavy rain accompanied by strong 100-knots winds lashed the coast and adjacent inland areas, bringing flooding across the low-lying countryside and flash floods as rivers fill up and burst their banks. 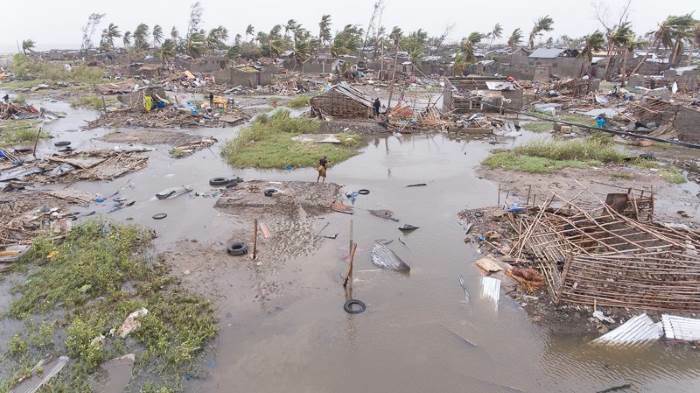 Reports of loss of life exceeding a hundred people across both Mozambique and Malawi have been received, although this was a result of the storm that heralded the development of the cyclone. 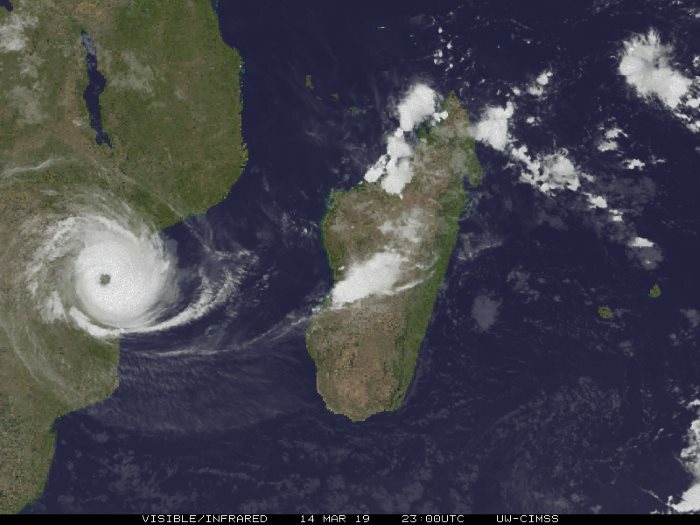 The storm originated in central Africa and crossed Malawi and northern Mozambique before moving over the warm waters of the Mozambique Channel where it built strength until reaching cyclone strength – Cyclone Idai. The rains, which have brought floods sweeping flat terrain and flooding rivers, have affected 843,000 people across Southern Africa, acciording to loacl authorities and the UN. These reports prompted yesterday’s calls for emergency aid. The effect of the cyclone coming ashore last night (Thursday) has still to be measured but is expected to be severe with loss of property and life. TC Idah moving inland, with rains already far across Zimbabwe. The Mozambique government issued a Red Alert ahead of the cyclone and has appealed for help and assistance. Several South African rescue organisations have responded and re already in Mozambique and are currently travelling by road towards the Beira region where their help and assistance will be required. Shipping appears to have given Beira a wide clearance but AIS records a number of local and foreign fishing vessels having taken shelter in the river port. Cyclone Idai, having come ashore will, provided it continues to move inland, rapidly lose intensity below that of cyclone strength to that of a severe storm and reducing further, while still continuing to deposit large amounts of rain throughout, accompanied all the time by strong winds. With the countryside being low-lying a significant amount of casualties are now possible. Ghana Maritime Authority’s Deputy Director General, Daniel Appianin, has called for a ‘conversation on maritime issues’ of which he said the most critical was that of a maritime transport policy for the West African country. He said this was critical in order to address regulatory and safety issues. Appianin made his remarks while opening a three-day workshop on the National Maritime Transport Policy (NMTP) in Accra. 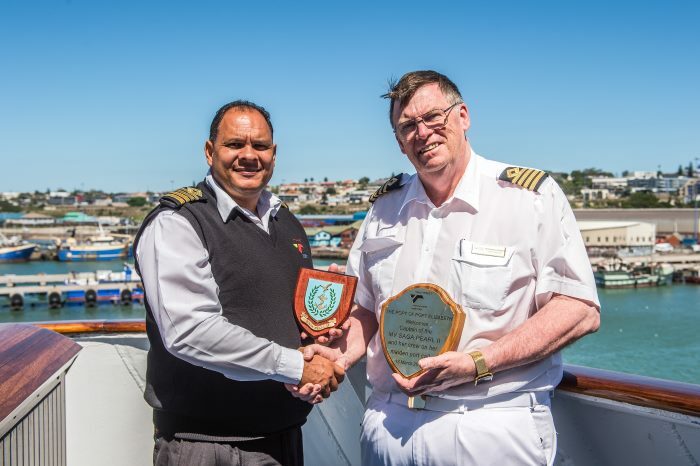 The port of Port Elizabeth (PE) welcomed the cruise ship SAGA PEARL II on Wednesday 13 March, this being the first time – and also the last time as Saga Pearl II – that she will call at PE. On previous visits to South Africa the ship has missed making a call at the Eastern Cape port, at least while bearing her current name. The National Sea Rescue Institute (NSRI) duty crew at Simonstown Station was called out on Tuesday morning (08h06, 12 March)) by the Transnet National Ports Authority (TNPA) with a request for medical assistance to be provided to a crew member on board a fishing trawler,WESTERN EXPLORER some 16 nautical miles south of Cape Point. “This latest proposed tariff scheme would leave Ireland with no option but to apply EU tariffs on all goods coming from the UK and therefore would require substantive checks to take place at the Irish border. Therefore, this desperate and ill-thought through trade measure will create all the conditions for a hard border in Northern Ireland. “Reducing import tariffs so radically in just two weeks’ time will turn many businesses upside down with no time to prepare. Such a desperate trade policy proposal only serves to warn MPs across Parliament that they must immediately take a no-deal Brexit off the table and rally behind some type of EU deal fast. 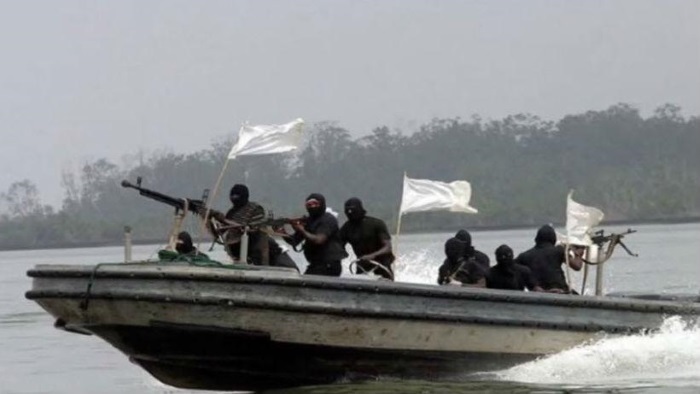 On 9 March armed pirates off the coast of Nigeria attacked an offshore support vessel that was underway abducting five of the crew. The attack took place in position 03:57.2N – 006:39.0E, around 32 nautical miles SE of Brass, Nigeria, at 11h15 UTC. Commenting on the parliamentary defeat of the meaningful vote on the Brexit agreement on the night of 12 March, Dr Adam Marshall, Director General of the British Chambers of Commerce (BCC), said: “Businesses have warned time and again that the United Kingdom is not ready to face the consequences of a messy and disorderly exit from the European Union. 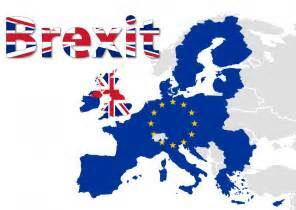 “Government agencies are not ready, many businesses are not ready, and despite two and a half years passing since the referendum, there is no clear plan to support communities at the sharp end of such an abrupt change. “Parliament must demonstrate that it will heed these repeated warnings. It is profoundly obvious that neither government nor many businesses are ready for a disorderly exit – and this must not be allowed to happen on 29 March whether by default or by design.